When we arrive in a new city, a walking tour is a great way to get introduced to the city and get oriented to special sights. 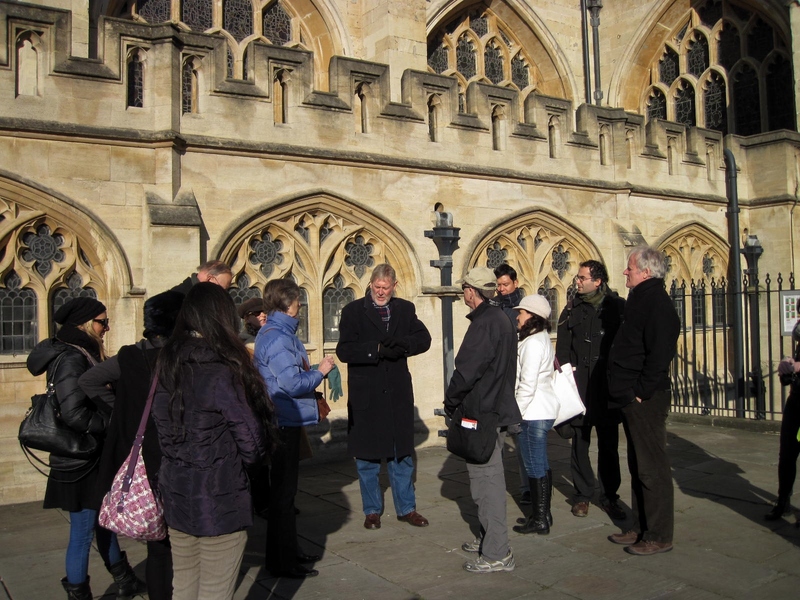 Paid walking tours are available in most cities and can cost from $5 to $15 per person. In many places we are able to find free walking tours. There are two basic types of free walking tours. The city of Caen (pics) has a long and complex history, most notably, it is known as the city of William the Conqueror, aka, William I, the first Norman King of England. 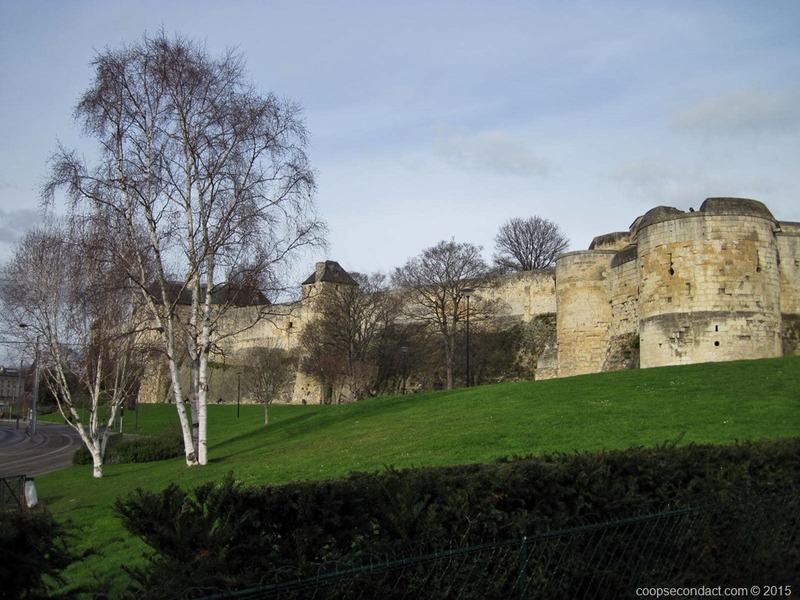 Commanding a prominent hill in the center of the old city is Chateau de Caen, one of the largest medieval fortresses in Europe, built by William I circa 1060. 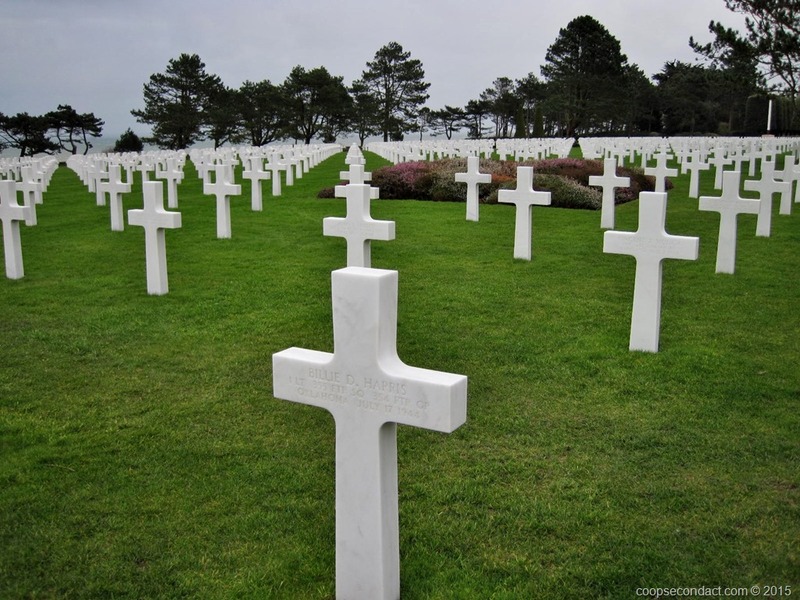 We put Bayeux, France, on our itinerary in order to visit Omaha Beach (pics) and other related parts of the Normandy coast. This is, of course, where the Allied invasion took place during World War II, specifically, June 6, 1944. 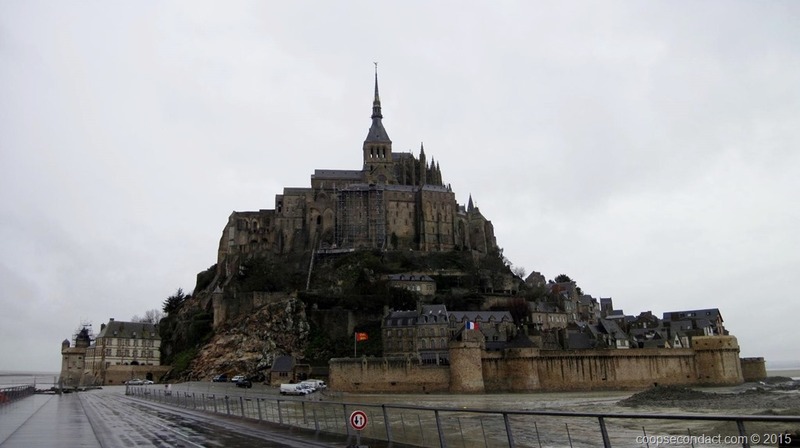 The abbey of Mont Saint-Michel (pics) traces its history back to the eighth century. It is built upon a tidal island that is some 600 meters offshore. At low tide it is surrounded by acres of sand. But this section of coastline experiences a 45 to 50 feet difference in low to high tides. This island sits along the northwestern coast of France. There’s not much else around, the village of Beauvoir is about 8 kilometers inland, another 5 kilometers gets you to Pontorson which has train service. When we were here it was a bit cold and windy with some rain. By the time of the French Revolution in the late 1700’s, there were scarcely any monks in residence. It was closed and converted to a prison and remained so for almost 100 years. In 1874 it was declared an historic monument and a UNESCO World Heritage Site in 1979. 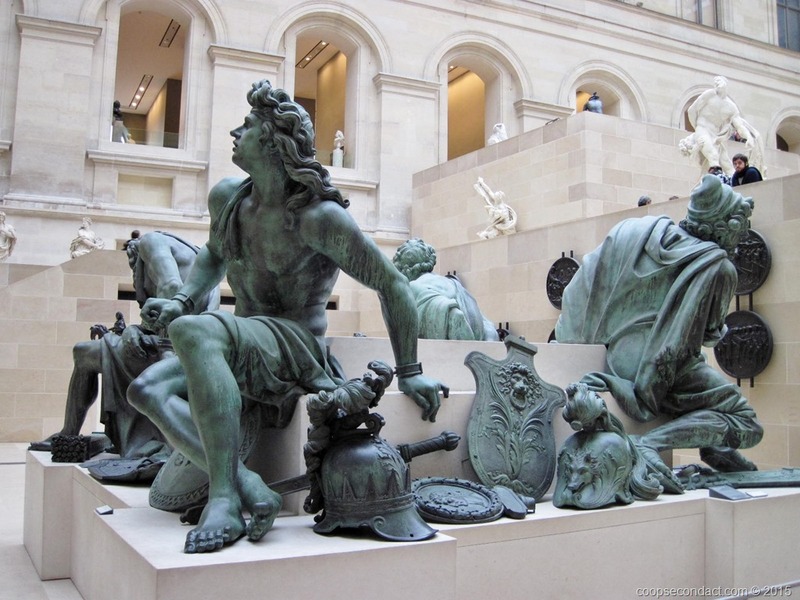 It’s not difficult to find something around Paris (pics) that you want to photograph: monuments, fountains, sculptures, museums, food. Place de la Concorde is one of Paris’ most impressive plazas, anchoring one end of the Champs-Élysées opposite the Arc de Triomphe. In the 1790’s, Louis XVI and Marie Antoinette were guillotined in Place de la Concorde along with some 1340 others over a two year period. And then, of course, the Arc de Triomphe is another Paris icon.